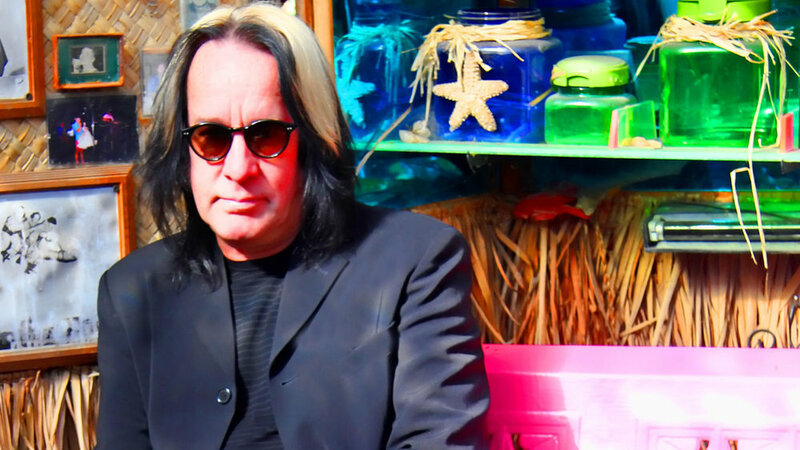 Todd Rundgren has been a cult figure for so long that it is often hard for most to remember just how many classic projects he's been involved with. But Rundgren's status as a hugely talented, but mercurial producer and multi-instrumentalist was set in stone as early as 1972, when his best-known album, Something/Anything? (a legendary studio double on which Rundgren famously made the first three sides entirely on his own in Los Angeles and the fourth side with an ad hoc pickup band of session players assembled over a weekend in New York), and projects for other artists like The Band's Stage Fright and Sparks' debut made him a potential superstar. Rundgren certainly had the juice for stardom, if he'd wanted it. He had a seemingly effortless knack for pop melody and song construction, a lovely and somewhat reedy tenor that often sounded astonishing multi-tracked with itself, a phenomenal facility for polished and ear-grabbing studio arrangements, and even a lot of finger-flashing technique on guitar, though he usually wrote most of his music on piano and played as many other instruments as he could find when he wanted to. In short, Rundgren must have seemed like an almost stereotypically marketable singer-songwriter for some studio executives and music fans in the early '70s, and it was maybe that uncomplicated reception of an image he didn't have much control over that made him go left. Rundgren had always had a perverse streak, which had previously manifested itself in his peculiar and sometimes irritating sense of humor. But people noticed that something was up when he followed Something/Anything? with 1973's A Wizard, A True Star—a crazed 55-minute single LP with a mescaline-throttled 26-minute medley of gorgeously crafted, obsessively overdubbed pop song fragments on side A, and a 29-minute group of somewhat more conventional, but no less excessive soul and prog rock-influenced songs (including a 10-minute medley of four R&B covers) on side B. A Wizard, A True Star has gained a dedicated cult following in recent years. However, it was regarded as an unwieldy and bizarre indulgence at the time, and while there may have been some truth in that assessment, it was also possibly Rundgren's greatest album. From then on, it was clear that Rundgren's production career, which included everything from mega-selling triumphs of bad taste like Meat Loaf's Bat Out Of Hell to highly critically regarded college radio staples like XTC's Skylarking, was mostly going to fund his further exploits as a solo artist. Rundgren proceeded to devote himself wholeheartedly to anything he wanted to do, whether it was more wild fusions between R&B-influenced pop and hallucinatory electronic experiments (1974's underrated, inconsistent but often wonderful Todd), deliberately lightweight but very well-done pop (1978's Hermit Of Mink Hollow), dreadful, manically overstuffed technological flatulence (1975's Initiation, with 35 blood-soaked minutes of idiotic synthesizer doodles on side B, sounds like a vomitous collision of David Sanborn's idea of Motown, a warped ELP record and the soundtrack to Takeshi's Challenge)—it's all there, along with a full side career as the bandleader of the decent prog-rock/new wave group Utopia. A listener frequently needs to already be on board with what Rundgren's selling to take most of it, which is the confidence and freakish amount of technique necessary to make sure you're going along with wherever his whimsy takes him—even if it's "interactive" albums that took advantage of the latest in then-current (and now hopelessly dated) computer technology or a grating, ska-like pop song that became the Green Bay Packers' unofficial anthem. Yes: Todd Rundgren also made "Bang On The Drum All Day," a piece of unmitigated dreck that features none of his usual expertise and his sense of humor at its most aggravating, but survives like crabgrass and empty Pabst cans at football fields in Wisconsin everywhere.